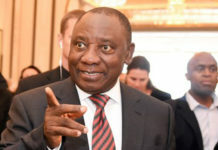 South Africa is to embark on a new economic growth path in a bid to create five-million jobs and reduce unemployment from 25% to 15% over the next 10 years. The announcement was made on Tuesday by Minister in the Presidency for Performance Monitoring and Evaluation, Collins Chabane. Chabane was speaking to journalists in Pretoria following a special Cabinet meeting called by President Jacob Zuma on Monday, and ahead of Finance Minister Pravin Gordhan’s medium-term budget speech in Parliament on Wednesday. 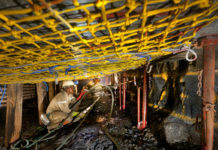 Chabane said the new growth path aimed to address unemployment, inequality and poverty by unlocking employment opportunities in South Africa’s private sector. Critical to the plan, he said, would be the partnering between key social players, business and government to address structural challenges in the economy. The government had realised that the economic growth and commodity price boom experienced over the past years had not seen revenue being sufficiently applied to promote economic spread and skills development in the country, Chabane said. 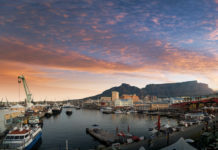 The government also agreed that while South Africa’s economy was among the first to show signs of recovery following the global recession, regulatory reforms that encouraged employment and fought poverty were needed. 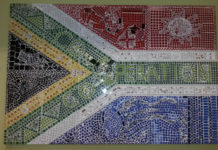 The recession, which claimed more than a million jobs in 2009, took a heavy toll on South Africa’s economy, with households suffering from falling incomes and high levels of debt. The domestic economy further contracted by an estimated 1.8 percent as a result of a decline in consumption spending and weak investment growth. Chabane said the new growth path would exploit some of the opportunities that arose from the recession. He cited China, India and Brazil as examples of countries with growth prospects similar to those of South Africa. The country could use its influence and experience to gain similar ground on the continent. At least six key sectors, including infrastructure development, agriculture, mining, the “green” economy, manufacturing and tourism, had been identified as having potential to unlock employment opportunities. Chabane and Economic Development Minister Ibrahim Patel agreed that it would probably take more than the government and the business sector for the country to achieve the new growth plan. Patel’s department is behind the Industrial Action Plan, which initially paved a way for the country’s new growth path. “Implementation and setting clear targets will remain a critical part of our work, and that is why we will be engaging all partners from all walks of life, and Cabinet will play a big role in coordinating all stakeholder commitments in this regard,” Patel said. The Cabinet Economic Team is headed by Rural Development Minister Gugile Nkwinti, who is also at the centre of speeding up economic growth in the country’s remote parts through various land reform policies. Nkwinti said that, through agricultural and land reform programmes, several employment opportunities that supported the new growth part were already in the pipeline. These included a special fund that had been created to assist emerging farmers in at least five of the country’s provinces. “Our area of focus will be on identifying skills, with the hope of using the funding to create more self-reliant businesses through partnerships of small and big commercial farmers,” Nkwinti said.